Ace Baker brings his StudioLive on the road with supergroup Chickenfoot, which as far as I’m concerned makes him a superengineer. 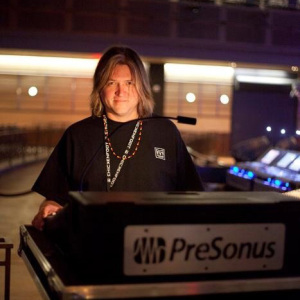 A couple years back, he used a classic StudioLive 24.4.2 to record every show of Chickenfoot’s tour. He’s been the first-call soundman of choice for Tower of Power as well. As such, Ace is appropriately monikered, and will demonstrate the latest developments in cascading technology of the StudioLive AI series—doubtlessly alongside his unique flavor of humor for which he is almost as well-known. Ace presents at the PreSonus booth every day of the show at 4:00-4:45, demonstrating the cascading technology of the StudioLive AI mixers. Click here for more on ALL the presentations at NAMM this year.